Our Kindergarten and Primary School caters for children aged 4 to 12 years. Pupils are taught German from the very beginning of their school life. St. Kilian’s Secondary School/Eurocampus has a distinctive European flavour and holds a unique position on the Irish educational landscape. This programme promotes an increased ability for abstract thinking and is ideal for students who are striving for additional academic challenges. 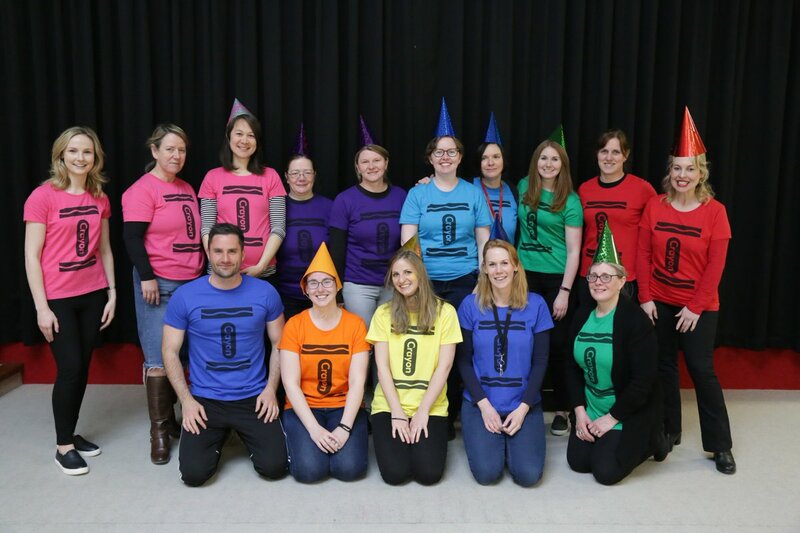 Our Primary School teachers forming a perfect set of crayons for our "Celebration of Books and Stories" Day! Thank you to everyone for making such an effort to promote a love of books to our pupils.